Currently, (January 2018) the only provider of GMDSS satellite services is INMARSAT. However Iridium is in the process of applying to become a GMDSS service provider. Thuraya has also indicated that it may be interested in becoming a GMDSS service provider in the future. Satellite systems operated by the Inmarsat company, overseen by the International Mobile Satellite Organization (IMSO) are important elements of the GMDSS. The types of Inmarsat ship earth station terminals recognized by the GMDSS are: Inmarsat C and F77. Inmarsat F77, an updated version of the now redundant Inmarsat A and B, provide ship/shore, ship/ship and shore/ship telephone, telex and high-speed data services, including a distress priority telephone and telex service to and from rescue coordination centers. Fleet 77 fully supports the Global Maritime Distress and Safety System (GMDSS) and includes advanced features such as emergency call prioritisation. The Inmarsat C provides ship/shore, shore/ship and ship/ship store-and-forward data and email messaging, the capability for sending preformatted distress messages to a rescue coordination center, and the Inmarsat C SafetyNET service. The Inmarsat C SafetyNET service is a satellite-based worldwide maritime safety information broadcast service of high seas weather warnings, NAVAREA navigational warnings, radionavigation warnings, ice reports and warnings generated by the USCG-conducted International Ice Patrol, and other similar information not provided by NAVTEX. SafetyNET works similarly to NAVTEX in areas outside NAVTEX coverage. SOLAS now requires that Inmarsat C equipment have an integral satellite navigation receiver, or be externally connected to a satellite navigation receiver. That connection will ensure accurate location information to be sent to a rescue coordination center if a distress alert is ever transmitted. Also the new LRIT long range tracking systems are upgraded via GMDSS Inmarsat C which are also compliant along with inbuilt SSAS, or ship security alert system. 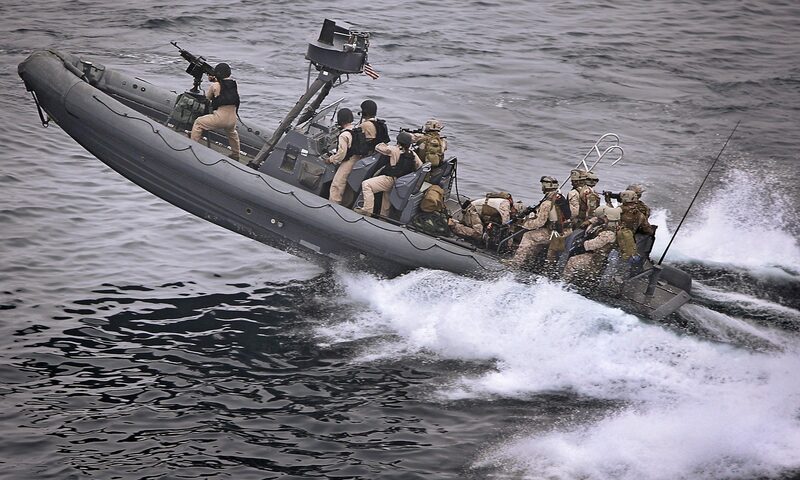 SSAS provides a means to covertly transmit a security alert distress message to local authorities in the event of a mutiny, pirate attack, or other hostile action towards the vessel or its crew. Seconds count in an emergency. If you’re trapped in a burning building or involved in a car crash you know dialling 999 will get help to you, fast. But what if that fire or collision happens when you are thousands of miles out at sea? Fortunately, since the inception of the Global Maritime Distress and Safety System (GMDSS) in 1992, seafarers have had their own emergency service. Using Inmarsat satellites and terrestrial technology, the GMDSS ensures that vessels in peril can always get through to a Maritime Rescue Coordination Centre (MRCC) so a Search and Rescue (SAR) operation can be launched. Critically, the system also prevents incidents happening in the first place, by supporting the transmission of Maritime Safety Information (MSI) like warnings of navigational hazards and approaching storms. Under the Safety of Life at Sea (SOLAS) convention, cargo ships of 300GRT and upwards and passenger ships on international voyages must have GMDSS compliant satellite equipment installed – Inmarsat C, Mini C and Fleet 77 are the only GMDSS satellite services approved by the IMO and also exceed the minimum 99.9% availability required. The IMO is currently considering the formal approval of Inmarsat FleetBroadband and Fleet One for GMDSS use as well. All a ship’s master needs to do to seek rescue in an emergency is press and hold the Dedicated Distress Button (DDB) on the satellite terminal for four seconds. This will cause an undesignated distress alert with the vessel’s details and position to be transmitted. The alert travels via one of our satellites to the Land Earth Station the vessel is logged into and direct to the MRCC associated with it. 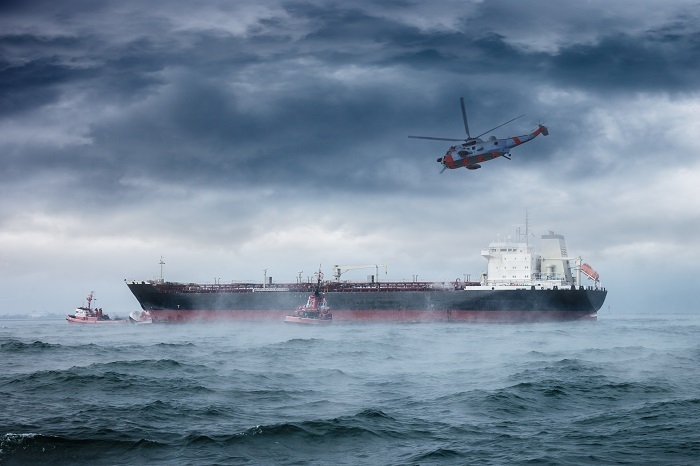 Distress alerts – both ship-to-shore and shore-to-ship – have the highest priority over all other traffic on our network, which means any non-distress connection will be superseded in order to ensure they get through immediately. If time permits, the master can choose to add extra information, such as the nature of the emergency, before sending the alert. Once they receive the distress alert, the MRCC will respond to check it’s not a false alarm. When they receive confirmation, or if they get no further response, they trigger SAR operations, including sending a distress alert relay to other vessels in the area which may well be able to reach the stricken ship quicker than the coastguard. Help is on its way.